During May 2017, Stef and I had an amazing time in Portugal. 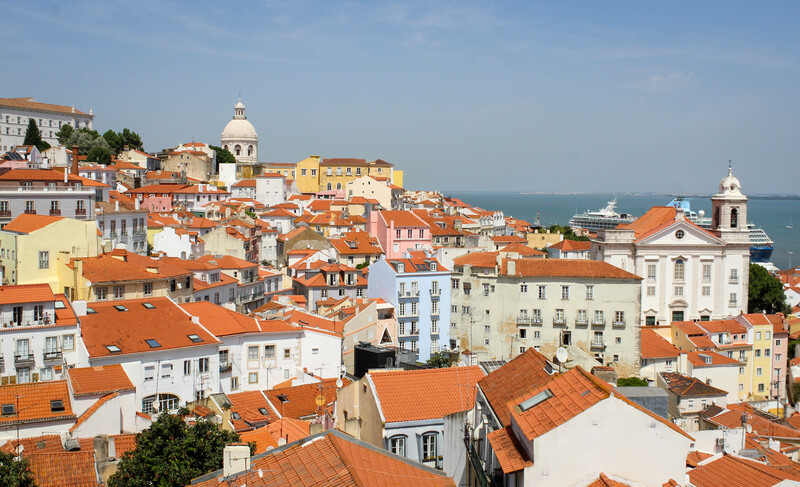 The two of us, our carry-on’s, two DSLR’s, and a Škoda Fabia that I rented in Porto and dropped off in Lisbon visited some of the best places in the country. Whilst Stef put out there a report with things to see, eat, drink, etc., I wanted to go a bit deeper on the data. How much did I walk, drive or sleep? What’s the longest walk we’ve done? Where did I sleep better? Thanks to a couple of devices and some apps, it’s all here. We arrived in Porto on the 19th evening and left the country from Lisbon on the 28th’s early afternoon, so I’m not going to count those two days. Therefore, I’m going to count as Day 1 the second day we spent in the country. Let’s start with the most impressive number. During those 8 days, I’ve walked 187,128 steps. 86.4 miles or 139 km. We’re talking about 23,391 steps and 10.8 miles / 17.3 km per day on average. By comparison, on a good day with a good workout and a nice cardio session, I normally go slightly over 10k steps, which is the goal I strive to achieve every single day. 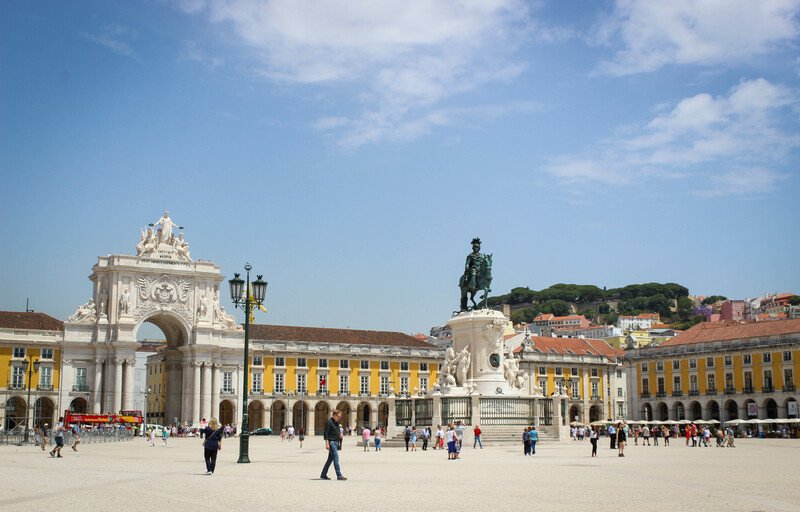 It shouldn’t be surprising that the day with the highest number of steps is the last day in Lisbon, when we went to the Belém district and walked back to the city centre, and went around one last time to do some shopping. I’m quite surprised that during Day 2, despite picking up the car early in the morning, I walked more than Day 1, which I spent visiting Porto entirely by foot. I’m sure this happened because we went up to the Bom Jesus do Monte sanctuary and visited the annexed park, which was so big that it counts as a village. On that day, I’ve actually visited two towns and a village, which made me walk more than just visiting Porto. What about the miles in the car? I drove for a grand total of 390.2 miles (628 km), 97.6 miles (157 km) per day on average. Let’s talk about sleep quality. Here we go. Sleep quality in percentage, time in bed, and weather. Not a trip for sleeping, not a trip for sleeping well. Best night was the one right before picking up the car, after a long walk in Porto. Poorest night—in Coimbra’s hotel, which was a bit weird. Poor sleeping quality percentages are affected by the short time in bed—it usually gets better once you put in 8 solid hours. I’m particularly surprised I hit around 60% on both our first and our last day in Lisbon, despite the 5 hours in bed—it’s clear I was really tired. It’s also worth noticing that I only had one night with a sleep quality under 60% in the days when I had the car. Considering that I don’t have a car at home therefore I don’t drive that often, it looks like driving doesn’t make me nervous. Roadtripping in Portugal is for everyone. Distances are fairly short, road quality is mostly ok and the scenery is always beautiful. This was far from being an extreme road trip, and you’re obviously more than welcome if you want to ask me questions in the comment section below. The car rental company will try to sell you one of those devices to go freely on the motorway without stopping at the toll booth. I think you should take it. It costed us slightly more than €2/day and paying tolls in Portugal is complicated—it involves post offices: thanks but no thanks. Goes without to saying: be prepared to walk. Walking in Lisbon can be tough. It’s not a flat city, even if you’re as good as us at walking you might get tired rather quickly with all those uphill roads. If you want to stay light and eat something that won’t make you throw up at the nth slope, Portuguese cuisine helps: if you’re anything like me—I’m a big meat & fish eater, please don’t judge—you’ll enjoy the awesome grilled steaks, grilled fishes (bacalhau FTW! ), and seafood soups. There’s a fair share of fried fish around, but if you ask kindly you’ll have restaurants serve it baked or grilled. Portugal is slow, chill, relaxed. No one is in any rush, there doesn’t seem to be any urgency at all. Embrace it, resistance is futile. Oh, I forgot a very important piece of data in the article. Number of pastéis de nata I’ve eaten in those 8 days: ∞.